Verizon Wireless and AOL are about to become siblings. 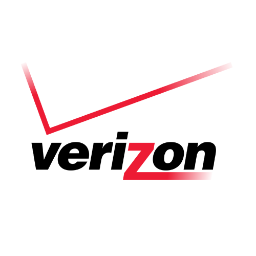 Verizon Communications (of which Verizon Wireless is a subsidiary) announced today that it is buying the latter for $4.4 billion. And no, it's not for the dial-up subscribers. Love or hate it, Verizon offers the strongest mobile network in the US, and it's one of the top broadband providers. In a future where people will stream more and more of their media over the web to an increasingly diverse range of gadgets, Verizon clearly has a role to play. But it doesn't simply want to pump other people's content through its pipes. It wants to make as much money supplying some of that content as it can. Here's where AOL's value comes in. The company that began as American Online has shifted from its roots as an Internet provider and become a media giant. The Huffington Post, Engadget, and TechCrunch are among AOL's many sites. Then, of course, there's AOL.com. But it's not really the content that Verizon wants. It's the advertising business. AOL makes money through traditional banners as well as ads embedded into video, including those streamed on mobile devices. Under CEO Tim Armstrong, a former Google sales executive who will stay on board following the acquisition, AOL introduced an automatic platform that allows marketers to bid on ad space. The company has since seen continued revenue growth. With this tech, Verizon could better make money from both your Internet subscription and the ad revenue generated from the content you're streaming, which has been its strategy for years now. The company already provides FiOS TV to millions of customers, and long before smartphones became ubiquitous, there was V Cast. It has also worked with the NFL to give Verizon users mobile access to football news and live video. Fortunately, Verizon doesn't lock you in to using only its content. Customers are largely free to watch video and get news from whichever sites they wish. According to Re/code, there's even a chance Verizon may spin off some of the news sources it's in the process of acquiring. For now, Verizon's future plans remain to be seen.